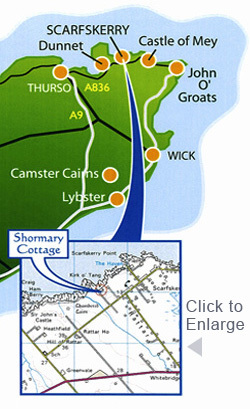 Click for a more detailed map view of the location of Shormary Cottage. 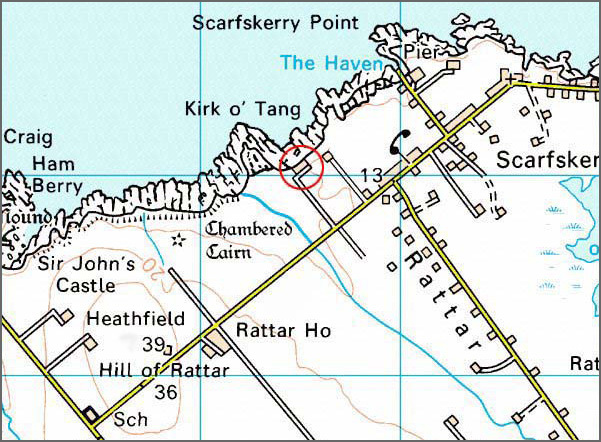 How to find us: Take the A9 road to Thurso and turn right at the traffic lights onto the A836. Head towards John O' Groats via Dunnet. 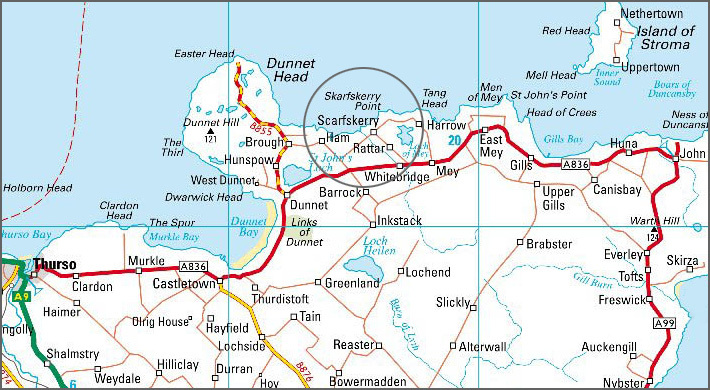 Approximately one mile past Dunnet turn left at the crossroads. After 600 yards turn right. Go over the hill and as you drop down towards Scarfskerry take the track on the left after the burn (do not go into the village).